Composting Toilets And More ! Enjoy modern amenities in a beautiful, rustic setting. Woolywagons in Russiaville, Indiana, offers stunning wagons such as Gypsy Wagons, Sheep Wagons, Tiny Houses, and Guest Houses that can easily go wherever you need, giving you a great space for camping, relaxing, and unwinding. The difference between our wagons and other on the market is all in the materials. We use high-grade aluminum and steel to make beautiful, comfortable, durable wagons that are sure to last for years to come. We at Wooly Wagons offer a free consultation service. We also offer a free getaway stay where the Wooly Wagons and tiny houses that we build. You can consult with us on your project with no obligations. So give us a call and ask us what separates our builds from others. With a mix of old-time charm and modern convenience, Woolywagons are the perfect way to escape the hustle and bustle of everyday life. 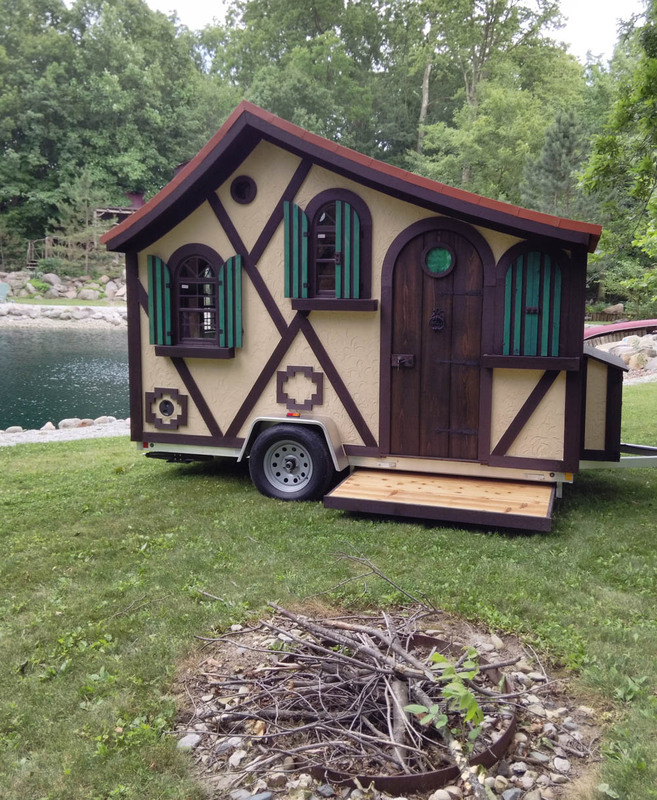 Our custom gypsy wagons, tiny houses, guest houses and sheep wagons have spray foam insulation and are built from sturdy, lightweight aluminum, making them strong and durable. Each wagon and tiny house comes with a 30-year, structural framing warranty, ensuring you enjoy your wagon for years to come. Established in 2008, Woolywagons excels at creating fully custom wagons. We use our more than 30 years of experience to deliver an exceptional product that meets your needs and exceeds your expectations. We need to make clear on pricing page all deposits are non refundable after all building material has been purchased on custom orders,a $ 500 cancellation fee will apply and amount of refund is to the sole desecration of Woolywagons and the owner of company known as Woolywagons based on % of completion of custom build and material already ordered and or purchased by Woolywagons for said custom build of any Woolywagons project and contracted custom build known as a Woolywagons. Contact us to learn more about our gypsy wagons, tiny houses and sheep wagons.